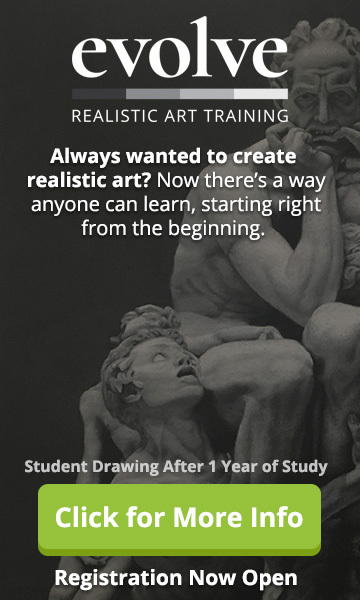 Ready to learn more about how to draw kids? Now you’ve learned how to draw the proportions of an adult and child female’s head, we can start expanding upon this by sketching out our character of Alice, from the popular novel, Alice’s Adventures in Wonderland, in a variety of poses. We’re not going to get too detailed here – this lesson on how to draw kids is all about freeing up your drawing hand and having fun with different ideas for poses! So, pick up those pencils or take up your tablet and let’s get going! 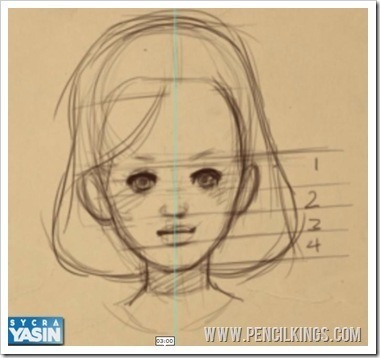 In the previous lesson on how to draw kids, Sycra Yasin showed you how the proportions for drawing an adult female’s head are slightly different when drawing a female child’s head. If you’re a fan of Manga and Anime, you might have noticed how lots of the characters in these comics also seem to use child-like proportions to make them look cute. Here, we’re going to take what we’ve learned and apply that to sketching out a series of rough poses to help you get a feel for your character. So, just to recap, once you’ve drawn a line halfway down the head of the child to show you where the eyebrows should fall, it’s a question of then dividing that area up into four sections to show where the other features should go. The eyes are in the first section, the nose falls at the bottom of the second section, the mouth is in the third section and the chin in is the fourth. 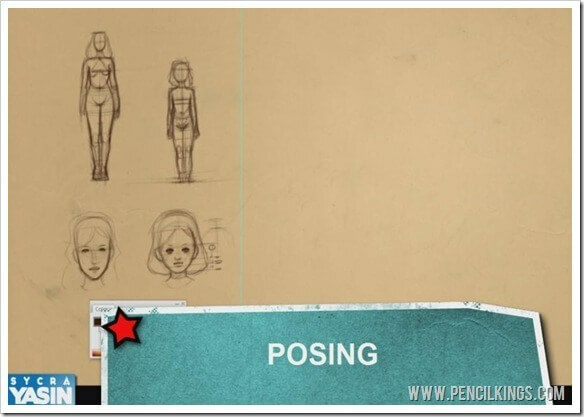 Now you’ve mastered this part of how to draw kids, let’s now move on to sketching out poses for Alice! Sketching out poses for your character is something that’s often neglected, but it’s very important if you’re going to create just the right feel for your character. To start with, have your adult and child proportion sketches on show, then use the area on the right of the paper to get creative and sketch out some rough ideas. Let’s Warm Up And Get Scribbling! For this first part, we’re not going to actually draw anything! You know how athletes warm up before a training session or tournament? 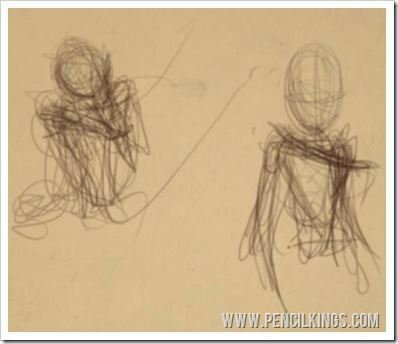 Artists need to warm up too, so just hold your pencil or pen and scribble on the paper to get your hand moving freely. Keep going for as long as you like just to get those creative juices flowing. 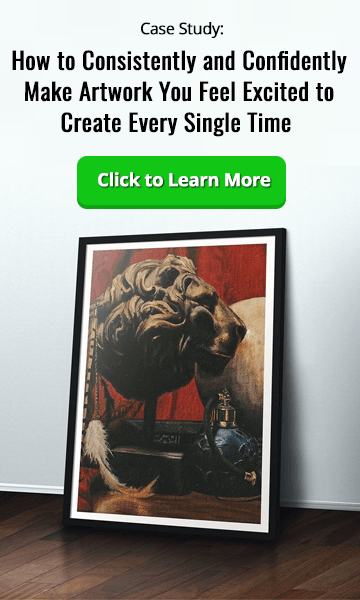 It’s not essential to do this – you’re not going to pull a muscle, after all! – but it will just help you loosen up and let your lines flow more freely. Once your arm is flowing freely, start thinking about what kind of mood you’re going for in your drawing – happy, sad, curious, perhaps? Just have fun and be creative when learning how to draw kids. 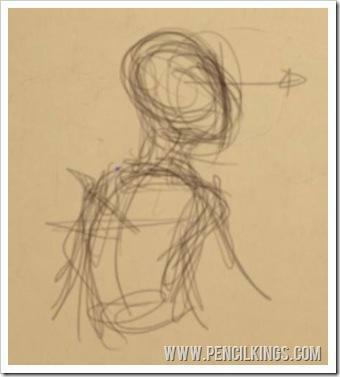 Remember, we’re just sketching out rough ideas, so your drawing doesn’t have to look perfect. 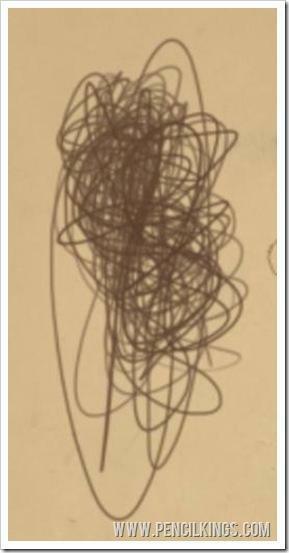 In fact, it can look as messy as you like! 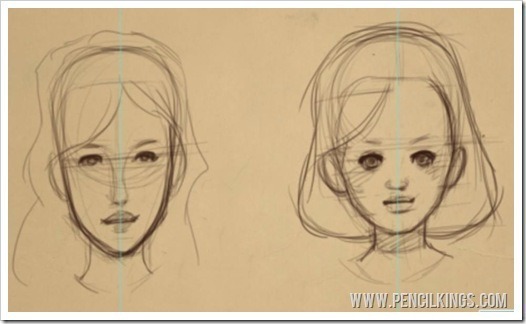 Just keep it simple – sketch out an oval for the head, followed by some lines showing what kind of pose Alice is in. Let your pencil capture the mood – maybe Alice is thinking about something? Looking up? Looking down? The choice is yours, so have fun and experiment with it! Having tried one idea, why not try another? You can go for a more classical pose, where Alice is looking straight on – maybe have one shoulder drooping so she’s seen at an angle? 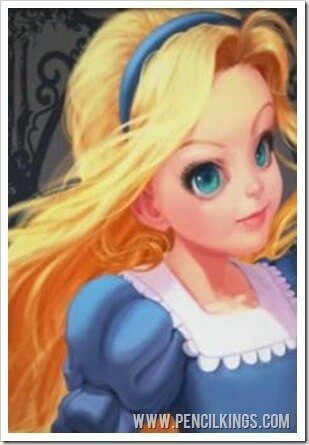 Try drawing Alice from the side so that her body is pointing in a different direction. 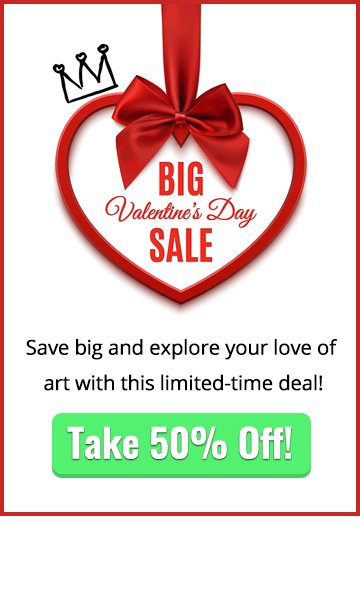 Don’t worry about drawing the hands or other details at this stage – this lesson is just designed to let you check out various options before deciding which one works best. 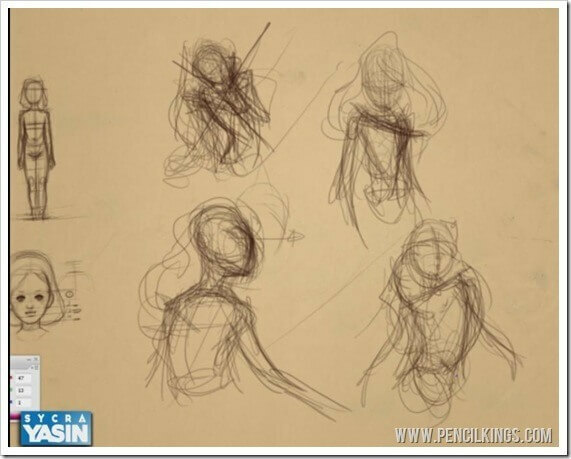 You’ll notice that the final painting in this series on how to draw kids features Alice as if seen slightly from the side without any hands showing – this was something Sycra decided upon after sketching out a variety of poses. 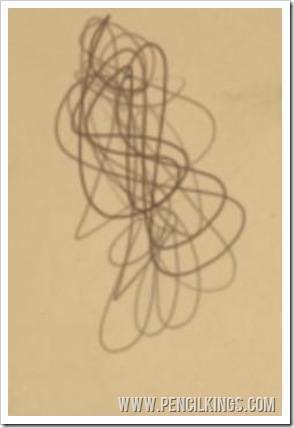 By the time you’ve finished, your document should look a little like the example above – very rough, very free but with lots of ideas for how your finished painting will eventually look. Try sketching out as many as you like – in the next lesson on how to draw kids, we’ll be choosing a pose and starting work on our final Alice in Wonderland painting!